An introductory survey examining key works of art within the intellectual and social contexts of their production. This course provides a working knowledge of the history of art and architecture from the earliest times to the present and supplies the critical tools necessary for studying art and visual culture. Antirequisite(s): Art History 1641A/B, Art History 1642A/B, the former VAH 1040. Extra Information: 2 lecture hours and 1 tutorial hour, or blended or online format. An introductory visual and historical survey with a focus on Western art from the ancient eras through Renaissance periods. The course provides a study of painting, sculpture, and architecture through considerations of the cultural environments within which they were produced. Students will gain a working knowledge of terms, methodologies, and themes in art history. Antirequisite(s): Art History 1640, the former VAH 1040. Extra Information: 2 lecture hours and 1 tutorial hour, or blended/online format. An introductory visual and historical survey with a focus on Western art from the Baroque period to Contemporary times. The course provides a study of painting, sculpture, architecture, and other forms of media through considerations of the cultural environments within which they were produced. Students will gain a working knowledge of terms, methodologies, and themes in art history. This introductory course serves as a starting point to study the foundations of art history. It is an exploration of the various relationships between art, science and technology. Topics may include the history of medical illustration and imaging, art’s engagement with scientific principles and issues, and the changing role of technology in art. Antirequisite(s): the former VAH 1042A/B. This introductory course serves as a starting point to study the foundations of art history. Examining the uses of art in popular culture and media through the ages, this course explores the circulation and power of artworks and cultural icons in historical and contemporary contexts. Antirequisite(s): The former VAH 1044A/B. This introductory course serves as a starting point to study the foundations of art history. It focuses on historical and contemporary practices of collecting art and cultural objects and introduces key principles of museum and curatorial studies. Antirequisite(s): the former VAH 1045A/B. An introduction to the representation of sexuality in modern and/or contemporary visual culture. Topics may include artistic practices from the 19th century through to the present. Antirequisite(s): the former VAH 2287F/G. These special topics courses examine the relationship between art and fashion since the 19th century. Examples of subjects dealt with include haute couture and the art world, body sculpting, activism and DIY fashion. Antirequisite(s): the former VAH 2235F/G, the former VAH 2236F/G. Antirequisite(s): Studio Art 2600F/G, the former VAH2241F/G. The development of Greek art from the post-Mycenaean "Dark Ages" to Roman times, with emphasis on the stylistic origins of vase painting and sculpture of the Geometric, Archaic, Classical and Hellenistic periods. Antirequisite(s): the former VAH 2247E. Prerequisite(s): 1.0 from Art History 1640 or two of Art History 1641A/B-1648A/B, or the former VAH 1040 or two of the former VAH 1041A/B–1045A/B, or Classical Studies 1000, or permission of the Department. Architecture, painting, sculpture, and graphic arts outside Italy with emphasis on the arts of the Netherlands and Germany of the 15th and 16th centuries. Antirequisite(s): the former VAH 2256E, the former VAH 2257F/G. A survey of selected examples architecture, painting, and sculpture from Italy during the fourteenth to sixteenth centuries. Antirequisite(s): Art History 2259F/G, the former VAH 2258E. A survey of Baroque and Rococo-era art and architecture of the 17th and 18th centuries in Europe. Antirequisite(s): Art History 2636F/G, or the former VAH 2260E, the former VAH 2262F/G. Architecture, painting, and sculpture of the indigenous cultures of North, Central, and/or South America prior to European contact. Antirequisite(s): the former VAH 2266F/G. An introduction to the visual arts of Canada in the 20th century, including First Nations and Inuit art, cultural policy, and collecting and curatorial practices in Canada. Key movements in Canadian art are discussed in relation to the social and political context. Antirequisite(s): the former VAH 2272F/G, the former VAH 2276E. A survey of Baroque and Iberian colonial-era art and architecture. Lectures will consider cultural connections between the Spanish and Portuguese Baroque styles and the colonial exchanges linking Europe, the Americas, Asia and other continental connections. Antirequisite(s): the former VAH 2260E, the former VAH 2262F/G, or the former VAH 2263F/G. Prerequisite(s): 1.0 from Art History 1640 or two of Art History 1641A/B-1648A/B, or the former VAH 1040 or two of the former VAH 1041A/B–1045A/B, or Medieval Studies 1022, Medieval Studies 1025A/B or Medieval Studies 1026A/B, or 1.0 essay course from Arts and Humanities, FIMS, or Social Science, or permission of the Department. European architecture, sculpture, painting and related arts from the French Revolution to the turn of the twentieth century. Antirequisite(s): the former VAH 2270E. The development of architecture, sculpture, painting and related arts in Europe and the United States from the turn of the twentieth century to World War II, in the light of the historical and intellectual background of the period. Antirequisite(s): the former VAH 2277E, the former VAH 2279F/G, the former VAH 2280F/G. The development of post-war visual arts in the Western world, against the historical and intellectual background of the period. Antirequisite(s): the former VAH 2278E, the former VAH 2281F/G. A study of international contemporary art trends and practices from 1980 to the present. Antirequisite(s): the former VAH 2277E. A survey of significant contributions to the histories and theories of photography, including a look at key photographers, important historians, critics, and theorists, art movements, and related social and political issues. Antirequisite(s): the former VAH 2242F/G, the former VAH 2282E. Prerequisite(s): 1.0 from Art History 1640 or two of Art History 1641A/B-1648A/B, or the former VAH 1040 or two of VAH 1041A/B–1045A/B, or 1.0 essay course from Arts and Humanities, FIMS, or Social Science, or a module in Photography, or permission of the Department. An introduction to the history of the moving image in Western visual culture from the 19th century to the present with emphasis on avant-garde and experimental practices, video art, installation and the links between film and various art movements. Antirequisite(s): the former VAH 2230F/G. An introduction to the history of mass media and its interaction with the history of art, exploring the power of images from painting to photography, film to the internet. Antirequisite(s): the former VAH 2283E, the former VAH 2293F/G. This course considers the forms, functions, structure, and historical and cultural contexts of architecture and urbanism through either a chronological survey from the ancient world to the contemporary era or through thematic topics. Please consult Department for more information regarding current offerings. This course examines the history and practice of modern design from the end of the 19th century to the present day. It outlines some of the fundamental principles of design, as well as looking at its political and sociocultural impact. Antirequisite(s): Studio Art 3502F/G, the former VAH 3379F/G, the former VAS 3379F/G. Prerequisite(s): Registration in years 2 – 4 of a Department of Visual Arts Honors Specialization or Major, or permission of the Department. This course examines issues and topics in the fields of gender and racial studies in the pre-modern era. Topics relating to the ancient and colonial Americas and Europe will consider the significant influence of women as artists, patrons, collectors, art subjects, and so forth. Please consult Department for more information regarding current offerings. This course will address topics and themes relating to the art of Indigenous Americas ranging from ancient times to contemporary period. Please consult Department for more information regarding current offerings. Prerequisite(s): Art History 2630F/G or the former VAH 2266F/G, or registration in years 3 or 4 of a Department of Visual Arts Module, or permission of the Department. By the time the United States and the Soviet Union emerged as superpowers after the Second World War, the utopian dreams of pre-war modernism had shattered. This course examines the art of the Cold War (1947-1991) in Europe and North American in relation to the heightened political tensions of the period. This course examines a group of like-minded artists who came together under the banner of “Dada” during the First World War. They sought to overhaul art’s cultural, social, and political roles, by challenging our preconceptions through various means. Their legacy persists having been revitalized in the 1950s and 60s. This course examines specific historical issues and topics in photography. Please consult Department for more information regarding current offerings. This course explores the relationship between film and the visual arts, from the invention of cinema to contemporary visual artists who have made Hollywood film the subject of their work. This course examines specific historical issues and topics in the fields of architecture and urbanism. Please consult Department for more information regarding current offerings. Antirequisite(s): the former VAH 3388F/G. Prerequisite(s): Registration in years 3 or 4 of a Department of Visual Arts Module or the Urban Development Program, or permission of the Department. This course explores the growing field of art works and art writing related to the environment, ecology, and sustainability. Students will learn how artists and museums have considered, responded to, and proposed solutions for complex environmental issues such as climate change, environmental justice, waste, and energy production. This course examines specific historical issues and topics in design. Please consult Department for more information regarding current offerings. Antirequisite(s): the former VAH 3387F/G. This course considers current issues and themes in the field of Art History through projects-based critical and practical approaches. Prerequisite(s): Registration in years 3 and 4 of a Department of Visual Arts Module in Art History or Museum Studies, or permission of the Department. Third or fourth-year honors students with a departmental average of at least 75% have the opportunity for experiential learning in the field of Art History. Students work closely with a professor and the Undergraduate Chair on a visual cultural project at a gallery, museum, or other location in London's region. 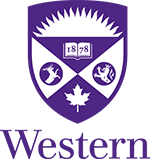 A fourth-year student with a cumulative grade average in the Department of at least 80% may apply for an independent study as one of the half-year courses chosen from the 4000 series. The student must obtain the Undergraduate Chair’s and the supervising professor’s approval before being allowed to register. Students must provide a detailed plan of study as part of the application process.